During the early part of the year Lisa and I started adding more fish to our diets, which was pretty difficult since neither of us are big fish eaters. Thankfully I have a really good source for fresh seafood, and every week when I shop I always look for something new to try and to blog about. I don’t want you to think we stopped eating fish, just because I haven’t posted much this summer, but since there are only a few types we really enjoy, we tend to stay with those. I know what your saying, I could prepare them differently add new sauces, and even venture into fusion cooking…..sigh Remember me? Old School, aka Dinosaur….. Now I’m not saying that all of these new techniques are bad or that all of those elaborate sauces are evil, it’s just that I tend to stay with a very classic Mediterranean way of preparing fish and meats. The belief is simple, all you really need is olive oil, salt and pepper, throw in some fresh herbs depending upon what your cooking or serving it with and your in business, simple, healthy and to the point. This is even more so when I prepare something for the first time, because if it isn’t good this way, and I need to cover up the flavors with different flavors, why am I eating it? 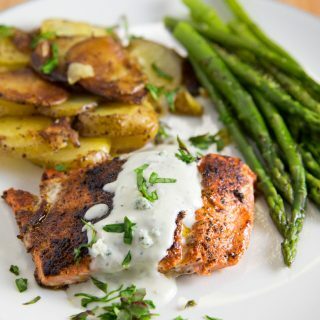 Now after I’ve tried it, and feel that another cooking technique or a sauce might enhance the flavors, that’s a different story, but if I have to change the flavors just so its palatable, then it’s off my menu. That’s the way I worked in my restaurant days and that’s how I cook at home and at school. Again, that’s not to say any other way is wrong, its just how I prepare fish. The only flavor enhancing technique I truly enjoy is marinating, and I tend to lean towards extreme flavors when I marinate, Asian being my favorite. Ginger, Soy, chili paste, and that’s exactly how I will prepare this Rockfish the next time we have it for dinner. The verdict on the Rockfish, it was not great. It did have a nice texture, but the flavors were too mild, it had a strong similarity to cod in flavor and texture. I think in smaller portions it would fry very well, served on a nice brioche bun with lettuce, tomato and tarter sauce, or lacquered with a soy balsamic glaze. Now that would really make thatRockfish into a show stopper! I know it almost sounds like a contradiction, but there’s nothing to hide with this fish, it just needs a little help. For my side I had to go with fresh jersey tomatoes from my garden, it’s been a terrible year for tomatoes with all the rain, but the ones we are getting are incredible…..I’m going to miss them this winter. I also had some left over mac and cheese which was the perfect compliment to the Rockfish. I baked the left over mac and cheese, but lately I’ve been making a quick stove top variety, very similar to the blue box instructions only substituting shredded extra sharp cheddar ( I do like the 3 and 4 year old aged cheddar’s), for the orange day glow cheese we grew up with ! Just cook your pasta, and drain it add 2 butter, a little milk and lots of shredded cheddar. It all melts together very nicely and is really a much better alternative to the blue box! I would suggest giving the stove top variety a try, you won’t be disappointed and it takes only a few minutes more than it takes to cook the pasta! There are no recipes for today, due to the simplicity of the meal, but if you have any questions on the preparation of the rockfish or the mac and cheese, just leave it in your comments or email me directly and I will gladly answer your questions. You still have a few more days to stop by Amelia’s Spicing Pecans and like their facebook page, the winner will be drawn for my next post so head on over and check out the page, and see which variety you would like. With the holidays coming, not only will they make a wonderful addition to your baked goods, but also a great gift for friends and family! Autumn is finally upon us and I’m looking forward to crisp cool nights and all of the great flavors of the season, this is my favorite time of year! 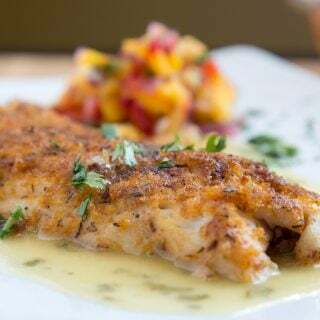 WE have been adding more fish to our diet as well, and like you have not always been crazy about it, but some recent restaurant experiences convinced us that properly prepared, fish is every but as satisfying as a good steak. Appreciate this recipe to add to the repertoire! I adore the simplicity of fish. A quick seasoning and a great side dish to accompany it and it becomes a fabulous and light meal! I’ve never tried rockfish…I’m intrigued! Sounds delsih! I’m a big fan of simply prepared fish…. same as you. Thank you for your honest take on rockfish. I may give it a try someday just to see how it goes. We all love fish in this house. Hubby wants me to up our fish-consumption to 2x a week now. Tonight we had cornmeal-encrusted salmon with a green farro pilaf. It was ok. Even thought I seasoned it pretty well, the original recipe did not call for a lot and it really needed it. Pretty good but could’ve been better. I liked my farro pilaf though. Next time I will use more herbs and add some other green veg. The original recipe called for some spinach in with the herbs but I only had one package and I needed it for tomorrow night so I just used herbs. I normally do what you did – just S&P and some olive oil. It is basic but delicious. If the olive oil is really good OO, then it is even better. I am very old school when it comes to fish also, less is more that’s for sure. Stove top mac and cheese is the way to go, get rid of the day-glo yellow stuff. I buy packs of instant ramen noodles every so often but I discard the seasoning packs. Mmm I am craving fish! Looks wonderful and beautiful! Congrats on top 9! You totally deserve it! This fish looks amazing! Congrats on Foodbuzz Top 9! I’ve actually never tried rockfish myself, Chef, but it does look lovely. I have to say, though, that your soy balsamic glaze sounds like it would be AMAZING!! Congrats on another well-deserved Top 9 today! Congrats on Top 9 ! Wow, this fish looks amazing! My husband caught a huge rockfish this summer and that is all we ate for weeks. It is the most delicious fish on the planet. What a wonderful way to prepare it! Congrats on the Top 9 today! It’s not easy to get really fresh fish here in the burbs, and it can be $$$. Anyway Your fish looks delicious, even though you were disappointed. 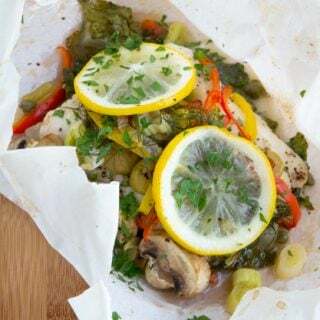 We mostly cook our fish like you, with a little olive oil pepper, lemon and no salt. i do use ans Asian marinate for salmon, sometimes. I love fish, but never tried rockfish. I know you weren’t crazy about the rockfish, but it looks simple and wonderful. Manu’s fish sauce for spaghetti is what my mother-in-law did this summer a few times with a similar fish when we were in Italy…a spaghettata! :)Hope you are having a nice beginning to your week, Dennis. 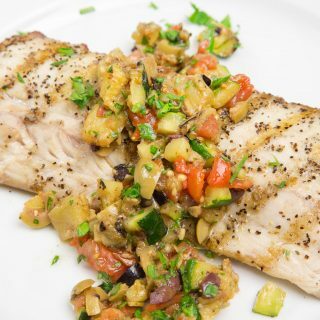 I agree with your seasoning…simple and let the flavor of the fish shine through. This looks wonderful! Looks like a delicious simple plate of food. I love seafood, and the best way to eat them is the simplest way, without too complicated with different kind of seasonings. I am sure it tastes as delicious as it looks. With ginger, yummy! 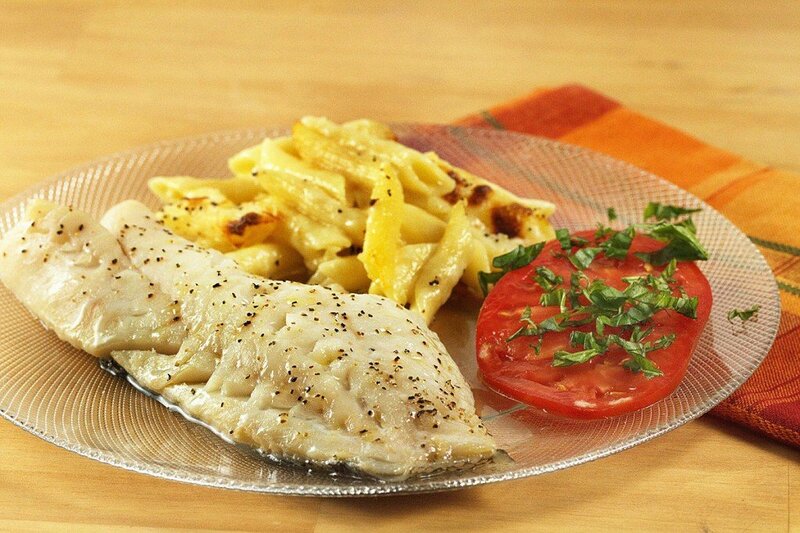 I love the way you have presented the rock fish and mac and cheese, it looks yummy ! Fresh fish is not something plentiful out here and when you do find it, it can be pricey. Thanks for the information on this particular fish-when I do get the chance to choose again, I will be better informed. I wish we had a better supplier out here. My locals markets, well they leave a lot to be desired. I’ve been eating more fish this summer too and I usually fix mine simply too. I did like your sandwich idea though and hoping you have a great week. Your assessment of rockfish is spot-on–I often see it pan-fried and served in fish tacos here in Alaska. 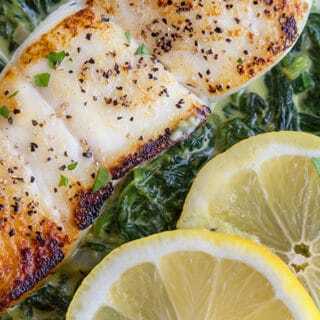 It’s not the lemon/olive oil/salt-and-pepper kind of fish–it needs a little sauce to be really great. I’ve also had it broken into bits and tossed into pasta. I’ve never had rockfish; it’s texture looks similar to haddock, I wonder if it is? My favourite marinating is Asian as well — it seems to pair so well with fish. My tomatoes have been horrible as well. It has to be all that liquid we have gotten this summer. I was so upset that I wouldn’t be able to make salsa like I normally do :-(. Anyways, I have never had rockfish before. It looks interesting, but I think I will take your suggestions and maybe change up how I cook it if I ever do make it. I love rockfish and have had it several different ways. Living in the Northwest certainly has it’s advantages when it comes to eating fish or seafood in general. This dish sounds wonderful. 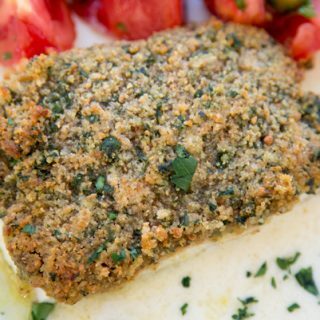 I love fish and seafood and really like this recipe! It’s so simple, yet am sure it’s fabulous! Thanks for sharing, Chef Dennis! As always, this is another masterpiece from you! I love a simply prepared fish, perfect for a quick dinner, although I too enjoy an Asian marinade once in a while. I’m certainly not a trained chef, but I am a trained eater, and I tend to lean towards strong flavor. 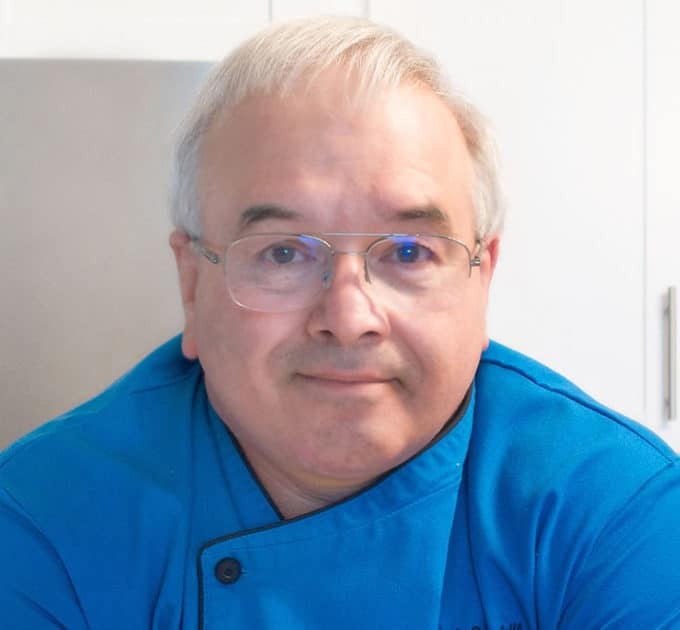 I like to cook (like you, I prefer marinating), with one dominant flavor, and a few others added in that will compliment and go well with the dominant flavor. I always enjoy reading your articles. I’ve definitely learned some things from you here. Its funny, now that I don’t live near a coast I rarely buy fish. More than a tasteless variety like this I can’t take really fishy fish anymore. Also all the chat about checking mercury levels in certain species takes some shine off the opportunity too. I really love your straight forward approach to cooking the fish you do. I seem to find the better the quality of the ingredient being cooked, the less it truly needs to shine. Great cooking direction Chef! We definitely should be eating more fish but the cost does get prohibitive, unfortunately. Isn’t that the way with all healthy foods? Thank you for your opinion of the rock fish. it sounds like one we can avoid. We’ll stick with our tilapia. I would love to make your version of the mac and cheese too; unfortunately, I’d never get it past Dudette. To her (and every 5 year-old), the blue box rocks. I love fish, and I’ve been making a point to make it more often. I usually grill or roast mine with a simple seasonings as well. That mac and cheese sounds like a great weeknight side. I agree with what you said regarding enhancing flavors and changing flavors. If you have to change the flavor of something to be able to eat it, why even eat it at all? Find something else! 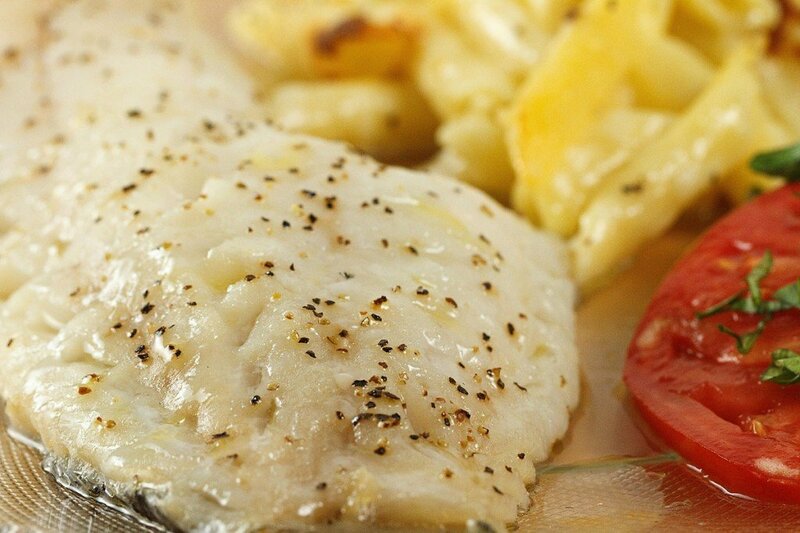 Your rockfish, mac & cheese, and tomato certainly do look beautiful!